with swap on the card dont work conected to usb? right? 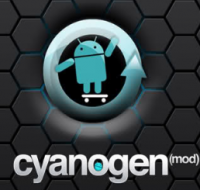 this tuturial does not work for me http://www.taringa.net/ADVERTISING SPAM/lg-optimus-me/4185835/_Tutorial_-Activar-SWAP-en-Cyanogen-Mod-7_10.html he aborts the operation because is no longer suported! and no way to adjust the drivers egl 3d sence rom 2.2 to 7 cm? hello, Lewa the roms are not based on CM7? if they say the games run spectacular, perhaps copying the files from the egl Lewa and adapting to our solve the problem ... I do not know. Hello, yes I wiped everything. I went back today to do a complete wipe and installed it again and keep up the problem. the home button and answer the calls does not work. detected during the wipe in the log that generated some errors of bad blocks, do not know if it is derived that gives the installation problems, but i dont tink so ... what version of the recovery cmd is that you use?? exprimentei the two that give the same error. the sd-ext does not format because it is not found. here is the result of the log: Starting recovery on Thu Jul 26 10:55:25 2012 framebuffer: fd 4 (240 x 320) ClockworkMod Recovery v4.0.1.0 recovery filesystem table ========================= 0 /tmp ramdisk (null) (null) 1 /recovery mtd recovery (null) 2 /boot mtd boot (null) 3 /misc mtd misc (null) 4 /cache yaffs2 cache (null) 5 /system yaffs2 system (null) 6 /data yaffs2 userdata (null) 7 /sdcard vfat /dev/block/mmcblk0p1 /dev/block/mmcblk0 8 /sd-ext auto /dev/block/mmcblk0p2 (null) I:Completed outputting fstab. I:Processing arguments. mtd: successfully wrote block at c3a6c00000000 I:Set boot command "boot-recovery" I:Checking arguments. I:device_recovery_start() Command: "/sbin/recovery" ro.secure=0 ro.allow.mock.location=0 ro.debuggable=1 persist.service.adb.enable=1 ro.modversion=clockwork-4.0.1.0-mooncake ro.product.device=mooncake ro.product.name=P726B usb.default.pid=0x1354 persist.usb.default.pid=0x1354 ro.build.date=Sun Jul 17 05:40:19 PDT 2011 ro.build.datei.utc=1307898540 ro.build.owner=sebastian404 ro.build.url=http://android.podtwo.com/ ro.factorytest=0 ro.serialno= ro.bootmode=unknown ro.baseband=unknown ro.carrier=unknown ro.bootloader=unknown ro.hardware=mooncakeztehandset ro.revision=0 ro.emmc=0 init.svc.usbconfig=stopped init.svc.recovery=running init.svc.adbd=running I:Checking for extendedcommand... I:Skipping execution of extendedcommand, file not found... mtd: successfully wrote block at c3a6c00000000 I:Set boot command "" /tmp/recovery.log was copied to /sdcard/clockworkmod/recovery.log. Please open ROM Manager to report the issue. mtd: successfully wrote block at c3a6c00000000 I:Set boot command "" -- Wiping data... Formatting /data... mtd: not erasing bad block at 0x000c0000 mtd: not erasing bad block at 0x02960000 mtd: not erasing bad block at 0x02980000 mtd: not erasing bad block at 0x034a0000 mtd: not erasing bad block at 0x09de0000 mtd: not erasing bad block at 0x0a920000 mtd: not erasing bad block at 0x0ab00000 mtd: not erasing bad block at 0x0f100000 mtd: not erasing bad block at 0x10380000 mtd: not erasing bad block at 0x10720000 Formatting /cache... Formatting /sd-ext... I:Formatting unknown device. No app2sd partition found. Skipping format of /sd-ext. Formatting /sdcard/.android_secure... I:Formatting unknown device. Data wipe complete. Fixing execute permissions for /cache mtd: successfully wrote block at c3a6c00000000 I:Set boot command "" -- Wiping cache... Formatting /cache... Cache wipe complete. Fixing execute permissions for /cache mtd: successfully wrote block at c3a6c00000000 I:Set boot command "" Formatting /boot... Done. Formatting /cache... Done. Formatting /system... mtd: not erasing bad block at 0x01c40000 mtd: not erasing bad block at 0x07a40000 Done. Formatting /data... mtd: not erasing bad block at 0x000c0000 mtd: not erasing bad block at 0x02960000 mtd: not erasing bad block at 0x02980000 mtd: not erasing bad block at 0x034a0000 mtd: not erasing bad block at 0x09de0000 mtd: not erasing bad block at 0x0a920000 mtd: not erasing bad block at 0x0ab00000 mtd: not erasing bad block at 0x0f100000 mtd: not erasing bad block at 0x10380000 mtd: not erasing bad block at 0x10720000 Done. Formatting /sd-ext... I:Formatting unknown device. No app2sd partition found. Skipping format of /sd-ext. Done. Fixing execute permissions for /cache mtd: successfully wrote block at c3a6c00000000 I:Set boot command "" -- Wiping data... Formatting /data... mtd: not erasing bad block at 0x000c0000 mtd: not erasing bad block at 0x02960000 mtd: not erasing bad block at 0x02980000 mtd: not erasing bad block at 0x034a0000 mtd: not erasing bad block at 0x09de0000 mtd: not erasing bad block at 0x0a920000 mtd: not erasing bad block at 0x0ab00000 mtd: not erasing bad block at 0x0f100000 mtd: not erasing bad block at 0x10380000 mtd: not erasing bad block at 0x10720000 Formatting /cache... Formatting /sd-ext... I:Formatting unknown device. No app2sd partition found. Skipping format of /sd-ext. Formatting /sdcard/.android_secure... I:Formatting unknown device. Data wipe complete. Fixing execute permissions for /cache mtd: successfully wrote block at c3a6c00000000 I:Set boot command "" -- Wiping cache... Formatting /cache... Cache wipe complete. Fixing execute permissions for /cache mtd: successfully wrote block at c3a6c00000000 I:Set boot command "" Fixing execute permissions for /data mount: mounting /dev/block/mmcblk0p2 on /sd-ext failed: No such file or directory rm: can't remove '/data/dalvik-cache': No such file or directory rm: can't remove '/cache/dalvik-cache': No such file or directory rm: can't remove '/sd-ext/dalvik-cache': No such file or directory Dalvik Cache wiped. hello, which files have to copy or edit to port roms for the blade to racer? someone teach me please? new version released, when can we get it??? hi equiliym, that problem came with version: cm-7-20120715-NIGHTLY-mooncake cm-7-20120708-NIGHTLY-mooncake with version cm-7-20120701-NIGHTLY-mooncake everityng works fine. by the way, i´m not the only one "compayning" abot this bug´s. it coud be because you use the english language and i use the portuguese language, it could be by that. the screen images could be diferent because of that, i dont know! but the buttons they don work neither in english or portuguese language, that i can confirm. hello, yesterday I installed the titanium backup in playstore without any problems. runs fine without any problems. about the restoration, not tested because i dont have nothing to restore.